Open the links below to see the available positions and the descriptions on how to apply. 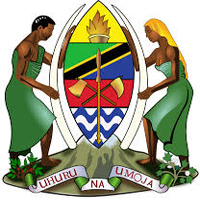 Taasisi ya Sanaa na Utamaduni Bagamoyo—TaSUBa (formerly known as the Bagamoyo College of Arts) is a semi-autonomous Government Agency under the Ministry of Information, Culture, Arts and Sports that provides training, research and consultancy services in the arts and culture. TaSUBa aims to develop and promote East African countries’ arts and cultures by providing training, consultancy, conducting research, and organizing festivals, conferences and symposia. In 2012, TaSUBa was designated as the East African Centre of Excellence for Arts and Culture Development. TaSUBa is proud to announce the availability of Sanaa Tuition Fee Waiver Scholarship for the 2018/2019 Academic Year. The Scholarship will cover tuition fees whereas other related expenses (living, stationery, medical and travel) will be borne by the students. The Scholarship has been established to support gifted young artists from the East African Community to nurture their promising talents as artists. iii. Certificate in Music and Sound Production. a) Applicants must be citizens of the East African Community Member States (Burundi, Kenya, Rwanda, Uganda and South Sudan - 2 slots for each country – equally divided for both Male and Female genders). For interested Tanzanian applicants kindly contact TaSUBa for further clarifications before applying. b) Applicants must be in good health. c) Applicants must be holders of the Ordinary Certificate of Secondary Education Examinations with a minimum of 4 passes. d) Applicants must be fluent in written and spoken English. 3.1 Download the “Sanaa Tuition Fee Waiver Scholarship” Application Form from: www.tasuba.ac.tz. i. Duly filled out application form (typed or printed clearly). ii. A copy of the Ordinary Certificate of Secondary Education Examinations. iii. Letter of recommendation from a professional art/ cultural body. 3.3 Submit your application electronically by scanning all the required documents via email to tasuba@habari.go.tz with the subject heading “Sanaa Tuition Fee Waiver Scholarship – 2018/2019” by 15 August, 2018. 1. The Scholarship award covers Only Tuition Fees, Caution Money, Student Union Fee, Quality Assurance Fee and Student Identity Card. 3. Testimonials/Provisional results/Statements of results will not be accepted. 4. Any application without relevant documents shall be deemed as incomplete and, thus, will not be considered for the Scholarship. 5. Successful Scholarship applicants shall be notified before 14th September, 2018.